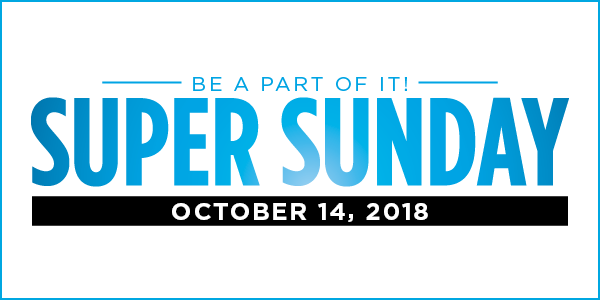 The Jewish Federation of Cleveland will host its annual ‘Super Sunday’ event, Jewish Cleveland’s single largest one-day give-a-thon of the year, on Sunday, October 14. Funds raised will benefit the Campaign for Jewish Needs, which is the Federation’s annual fundraising campaign that serves Jewish Cleveland and the global community. “I can think of no better way to demonstrate our Campaign theme, “The Impact of Together,” than when our community works with one another on Super Sunday to raise the money necessary to make life in the Jewish community better today and even stronger in the future,” said David Roth, Super Sunday Co-Chair. “This year, we have expanded our digital capabilities – including a wide-range of shareable content for social media – for volunteers to utilize when they join other people from across our diverse community at the Federation building, as well as online.” David co-chairs this event with his wife Lauren of Beachwood, Roizie and Elliot Jacobs of University Heights, and Stephanie and Brian Stein of Solon. Join hundreds of volunteers to raise funds for the Campaign for Jewish Needs. Enjoy kosher food, kids activities, babysitters, and hear from community members whose lives have been changed and improved by donors to the Federation. Use their phone in different ways with increased content for texting, email, and social media outreach. On-site participation will occur from 9 am – 7 pm on October 14 at the Jewish Federation of Cleveland’s Jack, Joseph and Morton Mandel Building (25701 Science Park Drive in Beachwood). Raise awareness for the day with banners, video clips, badges, and filters. Help increase community participation in the Campaign through peer-to-peer fundraising and solicitations within their own personal networks. Track their impact on social media by following #JewishCleveland (Likes, Shares and Retweets welcome!). Online participation will occur for 24 hours on October 14. Super Sunday sponsors are Benesch Attorneys at Law, KeyBank, PricewaterhouseCoopers LLP, and Cleveland Jewish News. The Federation is the only organization in Cleveland that considers the needs of the Jewish community as a whole and plans for its future. 91 cents of each dollar donated goes directly to the community. The 2019 Campaign for Jewish Needs will conclude on December 12, 2018. To volunteer, visit www.jewishcleveland.org, email supersunday@jcfcleve.org or call 216-593-2909.